You don't need to have a major studio contract to make a masterful film. With the right tools--like high-quality stock music and internet promotion--you can bring your vision to life without the incurring high costs. The key to making a Hollywood-quality movie on a budget is to adopt a guerrilla attitude. You may not have the resources of a summer blockbuster, but you can find creative alternatives that work just as well. Whether that's using royalty-free stock music or filming in open locations, you'll discover that you can achieve fantastic results while saving money. The first is to borrow what you lack. That doesn't just go for cameras but for any of the tools you need when making your film. Building relationships and knowing where to get stuff for free when you need it goes a long way. Your best bet is to borrow a camera from your university. Schools naturally have great equipment that's sometimes worth hundreds of thousands of dollars. If borrowing from a school isn't an option, then go with a cheap DSLR camera. The price may be cheap, but the image quality isn't necessarily if you know how to work the equipment. At most, a DSLR will set you back a few hundred bucks. Pick one up and start rolling. We all wish we could go full Hans Zimmer with our film scores, but unfortunately, the Hans Zimmers of the world don't charge peanuts. You probably know that music is one of the most expensive parts of a film. The musicians' unions are very tough. They make sure the royalty charges keep getting made long after a movie's left the theaters. Again, you have two options for providing your film with a fitting score. With modern music software like ProTools or Logic Plus, you can create authentic symphonic arrangments with nothing more than a MIDI keyboard and a laptop. Of course, recording software and a keyboard will cost you several hundred dollars each. So the investment probably isn't worth it if you don't plan on composing long-term. What makes stock music affordable for filmmakers on a budget is the licensing model: you don't have to keep paying for use! You pay one time for the license. That's it. Now, you might hesitate to use stock music. Maybe you think it'd be more artistic to use an original score written specifically for your film. While an original score is wonderful, stock music can work just as well artistically. Think of the acclaimed Stanley Kubrick. He swore by using precomposed music for his films--and did so to stunning effect in classics like 2001: A Space Odyssey and A Clockwork Orange. Finding the right stock music can be a satisfying endeavor in and of itself. There's a certain thrill that comes when you're searching through music and finally find the right piece for your scene! The great part is modern stock music companies offer incredibly diverse catalogs which you can search by style and even by instrumentation. And because stock music companies run efficient businesses that provide their composers with constant work, they're able to license at affordable rates that fit the budget of new filmmakers. Location is one of the biggest factors to consider when making a movie on a budget. You're probably not thinking about filming on an elaborate set in Georgia. But even shooting on location can be time- and money-consuming without proper planning. Always go for "free." Talk to local business owners; ask if you can shoot at their place during the day. Assure them you won't cause any disruption of their business (and follow through on that promise). If you wait to shoot at private properties after hours, you'll likely end up having to pay. Better to pocket that money for other expenses. Also, shooting at multiple locations can be costly even it's free. Driving from place to place requires gasoline and eats up your time (and time is money). The internet is the best friend of the new filmmaker. Because you don't have the benefit of a million-dollar advertising campaign, you need a way to get the word out with as little money as possible. Social media combined with Youtube can help you reach your audience. A smart strategy is to make short films before going all out on a feature film. Choose a niche that you love and that has a large following. Put your shorts on Youtube for all the world to see. Connect with popular figures in your chosen genre to bring your work to the attention of their followers. What you're doing is gradually building your own following. It's once you have a relatively large following that you can move forward with your feature film. You'll have an automatic audience. Since you'll already have a fanbase, you can begin marketing to them and even ask for your fans' help getting the word out. Once you've built a following, you can leverage it to finance your film. Crowdfunding sites like Kickstarter and Indiegogo are trusted platforms. Don't expect your fans to cover all the cost of your project. Use it as one component of your financing. Set realistic goals. Always deliver on your promises, be it the donation incentives or the film itself. Nothing will hurt your brand more than letting fans down. 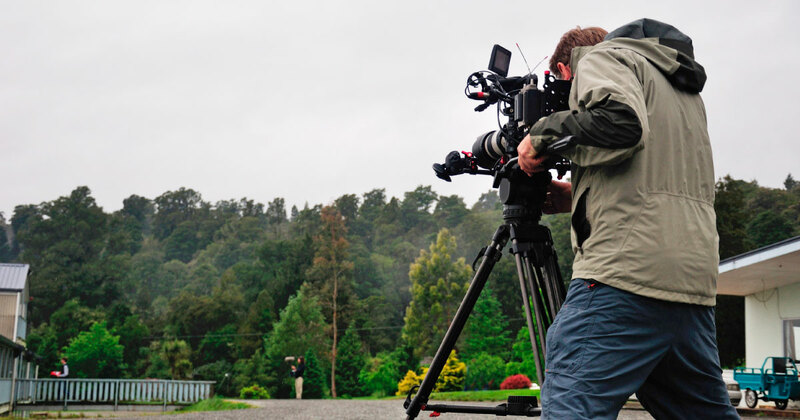 If you have the passion and skills to make a feature film but lack the money--don't give up! Creativity flows in the face of limitations. With the help of quality stock music services, modern affordable equipment, and social platforms, you can create a masterpiece film without going broke.